I support China. That is why I support the Olympic protests. Since Deng Xiaoping’s rise to power, the Chinese Communist party has lifted more people out of poverty than any government in the history of the world. China’s continuing economic growht means that she is not done. China continues to create jobs and “middle-classness,” both at home and abroad. Under President Hu Jintao’s idea of the “harmonious society,” economic development in China is increasingly focused on the historically poor inland provinces of that country. Further, China’s appetite for raw materials is creating jobs everywhere from the Iron Range of Minnesota to the lumberyards of Siberia. China should give the world even more goods in the future, as well. As China’s investment in Africa continues, China will naturally move from merely providing jobs to providing security. From supporting local police forces to even putting “boots on the ground,” China will soon be in a position to do more good for Africa than anyone since the European empires of the last century. And like any growing country that does good in backwards regions, China will face trouble. There will be protests and riots. 50 years of failure in Tibet will doubtless continue until a new direction is taken, meaning the world will see more soldiers kill more monks in 5, 10, and perhaps 15 years. There are many peasant riots in China these days — ignored by the media because the locals are too earth-bound and ignorant in their demands to capture much sympathy — that will grow to a larger scale. Further, just as there were riots in Africa against European colonalism, there will be riots in Africa against Chinese influence. There’s are not hopes. Indeed, they are barely predictions. They are things that will come true. The answer is no. While certainly China was justified in protecting innocent people from rioters in Tibet, the People’s Armed Police made the situation worse. Soldiers entering a monastary to take down a picture of the Dali Lama — and killing monks in the process — is emblematic of China’s unsophisticated and stupid handling of the Tibet crisis. Making the situation worse and enraging global public opinion is fine for now: China is rich and growing, and can afford to alienate its friends (such as Australian PM Kevid Rudd, who announced the Blue Men will not be welcome in his country). However in the future China will face a protest/riot crisis at a moment of weakness. If China is unable to handle the situation effectively then, the results could be bad for China and the world. So, how to preprae China for the future? The answer is to help China learn now. If China believes what she is doing now is working, it will not change, and next time she will behave the same way. This is the nature of governments. However, if China believes what she is doing now is not working, she will behave a different way. So the important thing is to help the Communist Party recognize failure. So, how do help the Communist party recognize failure? The answer is to provide feedback to the Communist leadership in a way that does not materially hurt our relationship with China. So a government-led trade war or total Olympic boycott would be foolish. However, people-powered protests that get noticed are cheaper. This is why it’s good when protestors extinguish the Olympic flame, as they wil hopefully do in San Francisco today: it gets noticed, it creates feedback, and its entirely symbolic. There is evidence that pressure is working. 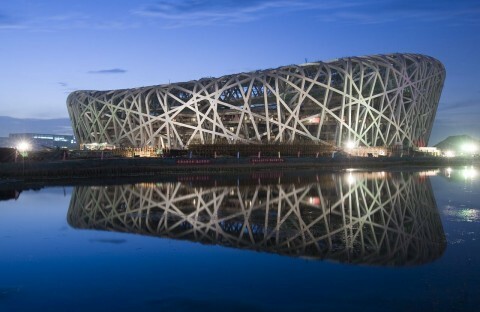 For instance, Ai Weiwei [è‰¾æœªæœª] is an outspoken critic of the Communist Party — and the designer of the Beijing National Stadium. Weiwei’s recently criticized the Communist Party’s handling of the situation are noted that the real problem was ethnic tension caused by Han intolerance on insensitivity… he did all this on his State-censored Sina.com. We should support China. The best way to support China is to convince the Communist Party that its policies are failing in Tibet. The best time to do that is now. The best way to do that are for common people to join in Olympic Protests, up to and including the extinguishing of the Olympic Torch. One World, One Dream, One Protest.